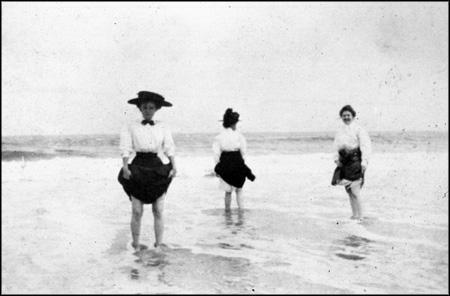 July 3, 1887 – (Advertisement) SURF BATHING ON THE FOURTH OF JULY AT CAROLINA BEACH. The steamer PASSPORT will run on the following schedule: Leave Wilmington 8:00 a.m.; 11:00 a.m.; 3:00 p.m; 6:00 p.m. Train leaves the Beach 1:00 p.m.; 7:00 p.m.; 10:00 p.m.
FOURTH OF JULY. Steamer LOUISE will leave her wharf at foot of Market Street, July 4th, at 8:00 a.m. for Rocks, Smithville and the Forts. July 7, 1906 – Justice G.W. Bornemann meted out justice with an impartial hand. The judge is a firm believer in order at our two beaches and says that whenever disturbances are raised at the resorts he intended to deal with them in the severest possible manner. 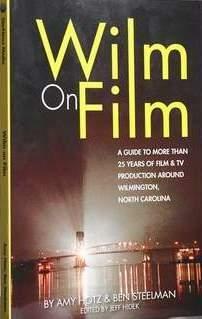 Two men, Will Hudson and “Bill” Terry were before the judge charged with an affray at Carolina Beach on July 4th. The fighting began over Hudson cursing at Terry. Terry knocked down Hudson. The judge said Terry was justified in his action as he was not looking for any trouble at the time that he was cursed. Terry still had to pay the costs of court, and Hudson received a severe sentence for his conduct, the judge imposed a fine of $10 and costs, which amounted to $16.45. (Wilm Dispatch, 7-7-1906). July 4, 1920 – Sheriff George C. Jackson spent the national holiday at Carolina Beach, and he commented that for the first time in many years no accidents, no disorderly conduct, or any display of effects of intoxicating liquors (a luxury of by-gone days), not even any drunkenness occurring from the consumption of the southern drink, monkey rum, was reported. July 7, 1933 – A survey to determine the volume of traffic over the Carolina Beach highway was being made by vehicle counters stationed at the Inland Waterway Bridge. Deputy Sheriff W.J. Smith of Carolina Beach declared the data would be used to have the state highway department increase the width of the road through the use of federal funds. July 4, 1934 – It was estimated that between 12,000 and 15,000 persons visited Carolina Beach alone during the holiday, while Walter Winner of Fort Fisher Beach reported the largest crowd of bathers and fishermen at that resort in the past four years. 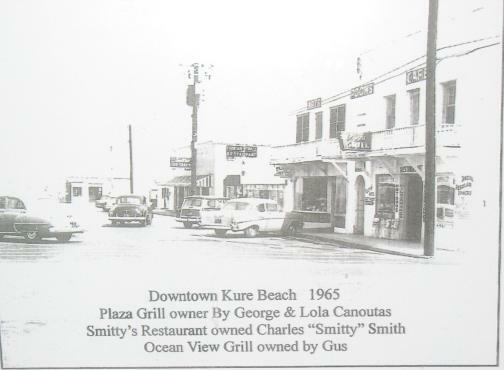 Kure’s Beach also reported a large attendance. A kid in Kure Beach had a better life in the 40s than today. No TV, just radio. Andy was the first life guard at Kure Beach when he was 15 (1950). He was paid by businesses in the center of town, and later by the town. His guard zone was south of the pier from the first jetty to the next jetty. Jetties were built to prevent erosion but aren’t allowed now. Tourists stayed in cottages. 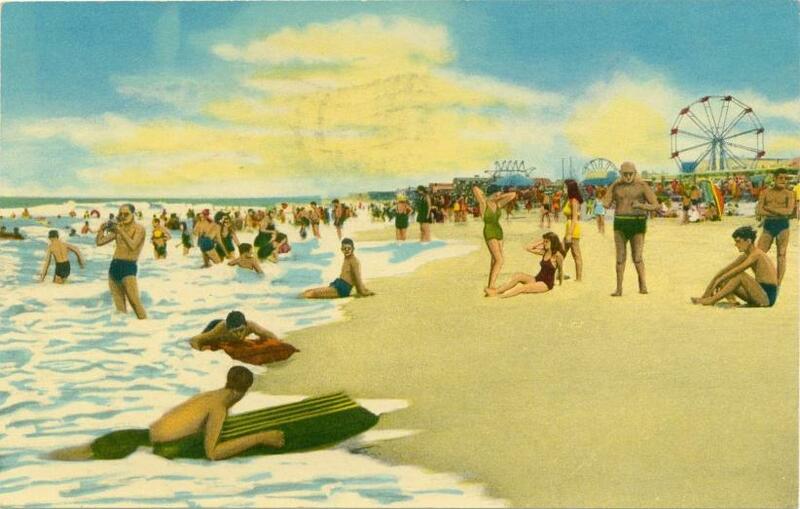 The beach got pretty crowded where Andy was because people wanted a life guard. Parents looked after the little ones. The wild ones were 8, 9, 10, or 11 year old boys. A buoy helped rescue people from rip currents; a whistle warned people who were going out too far. Some swam at Wilmington Beach and Hanby Beach. Andy enjoyed fishing on the pier – Spanish Mackerel, Blues, Pompano, Spots. As he got older, he enjoyed motor boats. He fished by net or seine for shrimp in Masonboro Creek or Hewlett’s Creek up next to a mud bank where shrimp like to stay. Andy did diving with air tanks and scuba gear on Civil War blockade runners bringing up artifacts – tin and lead bars with the name of the London Company. Lead was needed for sinkers.